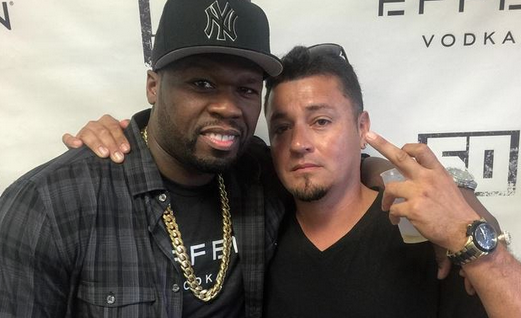 50 Cent's money problems can’t be that serious, because he still has time to poke and prod at Ricky Rozay. Rick Ross’ "Black Dollar" dropped last week to favorable reviews, but 50 doesn’t care, taking a minute out of his time to remind him of his legal issues. In June, Ross and his bodyguard were arrested for kidnapping, aggravated assault and aggravated battery charges in Fayette County, Georgia after the duo allegedly pistol-whipping a construction worker who was working on his mansion. Ross allegedly forced him into the guesthouse bedroom at gunpoint and during the ensuing confrontation, the MMG founder pistol-whipped the man twice. The man suffered injuries including two chipped teeth and a broken jaw that resulted in his mouth being wired shut. The man in the photo is allegedly the gardener Ross beat down that day. The G-Unit honcho trolled Ross by comparing that mans pain to the pain felt working as a CO/rapper.